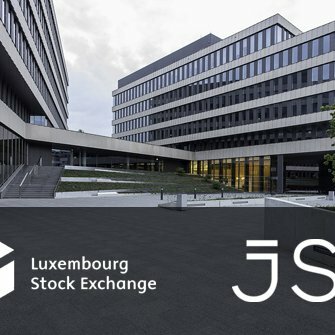 Echo Polska Properties (EPP), a company jointly owned by South Africa’s Redefine Properties and Polish Echo Investment S.A. is aiming to list on the Luxembourg Stock Exchange (LuxSE) in August 2016 followed by a listing on the Johannesburg Stock Exchange (JSE) in September 2016. “EPP’s listing on the LuxSE and the JSE is anticipated to provide it with significantly improved access to expansionary capital and provide existing and future shareholders with an opportunity to invest in a dynamic and highly-attractive economy,” says Hadley Dean, CEO of EPP. The value of EPP’s initial portfolio as at 30 June 2016 was EUR 1.2 billion, with retail properties comprising 78% of the initial portfolio by market value. Currently, EPP owns six office and 10 retail properties with a gross leasable area (GLA) totalling 446,400 square metres. The buildings are located in major cities across Poland, and were all built by Echo Investment. EPP is backed by an experienced board and staff complement, which continues to drive its development into one of the largest property funds in Poland. Dean says the fund has the potential to double in size over the next two years, in part due to some potentially significant investment opportunities available to the company. EPP has a 25% development profit participation in and has also secured the right of first offer from Echo Investment to purchase 7 properties (known as ROFO projects) with a total GLA of approximately 200,000 square metres. The ROFO projects are at various stages of construction and are set to be completed between 2016 and 2018. In addition to organic growth of its property portfolio, EPP has significant growth opportunities embedded by virtue of the extensions, reduction in vacancy rates and arrangements regarding the ROFO projects. EPP is also well placed to leverage off the development activities of Echo Investment, thereby providing the company with a significant advantage in the identification and sourcing of high quality real estate assets. With concerns about Brexit swirling, Dean says Poland is well-placed to weather the storm of any market volatility, with opportunities for inexpensive space a positive outcome flowing from Brexit for Poland. “Big banks are actively seeking more space for their back offices now, so Poland is set to benefit hugely by Brexit as the banks are looking to snap up office space that is almost 60% cheaper than in London. Moreover, they stand to benefit immensely from the Polish skill sets and lower human resources costs,” he says. Poland is the largest economy in Central Europe and was the only country in Europe to avoid recession during the 2008 financial crisis, mainly due to its own currency, strong domestic market, independent central bank with a solid track record and a conservative banking system. “Poland has a large, stable and liquid real estate market which has become increasingly attractive to foreign investors over the last few years due to its high growth potential and scalability, and shareholders stand to benefit from the returns that will emanate from high quality, modern and sizeable properties,” says Dean. Dean made it clear that the listing is aimed at EPP raising new equity capital to fund acquisitions and that the existing shareholders would not be exiting their investment on the listing.